How does God correct his Children? Does God correct us by punishing us with physical, emotional or financial trials and adversities? Are sickness and disease, trials and tribulations, God’s way of helping, and correcting us, if and when we go astray? Psalms 103: 13Like as a father pitieth his children, so the LORD pitieth them that fear him.14For he knoweth our frame; he remembereth that we are dust. God is our Father, he loves us more perfectly and completely then we love our own children. The above verse says he pitieth his children . He does not look at us, and scrutinize us, and expect us to be perfect, like he is. He remembers that we are but dust. John 16: 33These things I have spoken unto you, that in me ye might have peace. In the world ye shall have tribulation: but be of good cheer; I have overcome the world. Jesus told his disciples in the world there would be tribulations. We are not isolated from every problem in the world, but they are not punishments. God is love and light, and wants us to dwell in his light. 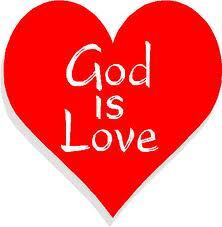 1 John 4: 8He that loveth not knoweth not God; for God is love. If any of us have been blessed to be parents, we know we always want the best for our children. God always wants the best for us. Matthew 7: 11If ye then, being evil, know how to give good gifts unto your children, how much more shall your Father which is in heaven give good things to them that ask him? What about correction then. We may need to be corrected at times, to help us grow and mature from children, into the kings and priests, our Father intends us to be. Hebrews 12: 8But if ye be without chastisement, whereof all are partakers, then are ye bastards, and not sons. 9Furthermore we have had fathers of our flesh which corrected us, and we gave them reverence: shall we not much rather be in subjection unto the Father of spirits, and live? 10For they verily for a few days chastened us after their own pleasure; but he for our profit, that we might be partakers of his holiness. The above verse states God chastens us for our profit, to be partakers of his holiness. How does he go about this chastening? 2 Timothy 3: 16All scripture is given by inspiration of God, and is profitable for doctrine, for reproof, for correction, for instruction in righteousness: 17That the man of God may be perfect, thoroughly furnished unto all good works. God does not beat his children, with pain, or sickness, or punishing of any type. Our Father gently corrects us, by sitting down and explaining our errors through his Holy Word. Picture a father who kneels down, takes his son or daughter by the hand, and gently corrects by explaining. You might be thinking, what if the person does not listen! What if this gentle approach is not severe enough to get our attention. If this describes us, the Bible says we are being foolish. Proverbs 17: 10A reproof entereth more into a wise man than an hundred stripes into a fool. If God were to beat a hard headed person with a hundred stripes, that person will curse God, and become all the more stubborn. This in not our Fathers way. Romans 2: 4Or despisest thou the riches of his goodness and forbearance and longsuffering; not knowing that the goodness of God leadeth thee to repentance? It’s God’s goodness, not his sternness, that leads us to want to repent and improve, and become more like he is. Hebrews 4: 12For the word of God is quick, and powerful, and sharper than any two edged sword, piercing even to the dividing asunder of soul and spirit, and of the joints and marrow, and is a discerner of the thoughts and intents of the heart. God will correct us, encourage us, instruct us, lift us up, and teach us about himself, and about who we are in Christ. All through his Holy Word. We need to spend time in God’s word, to see how good God is, and how much he loves us. Psalm 119: 105Thy word is a lamp unto my feet, and a light unto my path. ← Can faith alone save us? Yes! Hi Terry, I am so happy to hear that you find my articles helpful. Thanks for you comments and encouragement. Very liberating … BUT what about claims by people that God caused something really bad (sickness, accident, etc.) to happen to them to make them do His will or carry out a specific instruction? Thank you for your comments. I believe the Bible indicates that God never causes bad things to happen to his children. John 10: 10 The thief cometh not, but for to steal, and to kill, and to destroy: I am come that they might have life, and that they might have it more abundantly. But bad things do sometimes happen. God does not make us do his will, if that were the case everyone one Earth would be saved, John 6:40 And this is the will of him that sent me, that every one which seeth the Son, and believeth on him, may have everlasting life: and I will raise him up at the last day. God wants us of our own free will, to know and do his will. As for a specific sickness or accident God states, Romans 8: 28 And we know that all things work together for good to them that love God, to them who are the called according to his purpose. I hope some of what I have written helps to answer your question. I am blessed by your message here. Thank you.god bless you. Thank you Florizel, I am so happy to hear that you found my article a blessing. That is so encouraging to hear. I read the Holy Bible, and every time I come across a blessing, I believe in my heart that it is now mine and yours also, because we have accepted Jesus as our Lord and Savior. If I read any curses, or anything negative, I believe in my heart that Jesus has taken that curse upon himself, and it cannot come near me, and again I give thanks. Thank you for taking time to respond to my article. I believe God corrects us like a captain corrects a ship that is off course. He tries to guide us back. A captain of a ship, would not punish his ship, and God does not punish his children. Speaking of the time we now live in,Isaiah wrote: Isaiah 12:1 And in that day thou shalt say, O Lord, I will praise thee: though thou wast angry with me, thine anger is turned away, and thou comfortedst me. We allow God to correct us when we spend time reading his word. He corrects us through the pages of the bible. When we begin to see how much he loves us, and how perfect his love is toward us, (John 4:18 There is no fear in love; but perfect love casteth out fear: because fear hath torment. He that feareth is not made perfect in love. ),then we are ready to be corrected gently by his word. We desire to be like him. If I tend to get sloppy or lax at work, I hear a voice in my head that says, Colossians 3:23 And whatsoever ye do, do it heartily, as to the Lord, and not unto men. If I walk past a house and see a garbage can turned over and garbage has spilled out, I begin to walk past, then I hear a voice, Philippians 2:4 Look not every man on his own things, but every man also on the things of others.5 Let this mind be in you, which was also in Christ Jesus: If I begin to brag about some recent accomplishment I might hear, Proverbs 27:2 Let another man praise thee, and not thine own mouth; a stranger, and not thine own lips. I could go on and on giving examples like these, but I am sure you get the idea. If you do not obey the voice in your head, God is not the least bit angry with you. Jesus has taken all God’s anger upon himself. Slowly you will want to obey the voice, more and more. Not out of fear, but out of love. Nothing we can do can make God love us more, and nothing we can do can make him love us less. I have been through some very difficult times, that I brought upon myself through selfishness and pride, but our Lord Jesus never left me, nor forsake me. God bless you brother Gary. I have prayed for you. Let Jesus help you in any trial you are facing, he loves us more then we can imagine. I was looking for the verse speaking to how God corrects us today in this Age of Grace, not holding our sins against us. That’s how I found this posting. The verse I decided on is Prov 3:12 For whom the LORD loveth he correcteth; even as a father the son in whom he delighteth. Since sin and the law were done away w/ at the cross [in God’s mind, as Apostle Paul teaches: Blotting out the handwriting of ordinances that was against us, which was contrary to us, and took it out of the way, nailing it to his cross; Col 2:14 & Col 2:11 In whom also ye are circumcised with the circumcision made without hands, in putting off the body of the sins of the flesh by the circumcision of Christ. So they’re not what keeps us from God, rather it’s unbelief and coveted-ness], alienated in one’s thinking. So, today the Gospel of Christ is at work in us who believe!